Baby it’s cold outside. 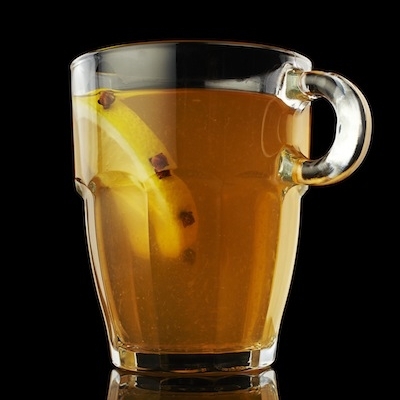 Here's an upgraded version to your classic warm cocktail, the hot toddy. These recipes are perfect for a cozy evening and just in time for National Hot Toddy Day on January 11th. Garnish clove-studded lemon wheel In a mixing tin. Muddle orange and lemon wedges. Add other ingredients minus water. Add ice to tin and shake vigorously. Double-strain into Irish coffee mug and add hot water and honey to taste. Add honey to heat proof glass. Add boiling water and allow to infuse. Now add Monkey Shoulder and stir until honey is dissolved and cloves infused. Garnish with clove studded lemon wedge.